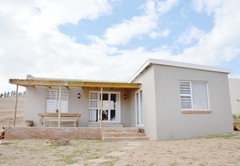 Dennehof Farm Guesthouse is a property providing self catering in Villiersdorp for tourists visiting the Cape Overberg region. 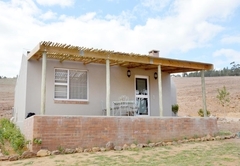 Located on a working farm outside Villiersdorp, Dennehof Farm Guesthouse offers self catering accommodation. 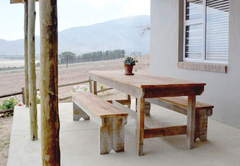 The farm boasts beautiful views of the Theewaterskloof Dam while also catering to nature lovers. The farm invites guests to experience the quiet charm of farm life, with sunsets and friendly livestock. The farm provides a safe, relaxed environment for all. 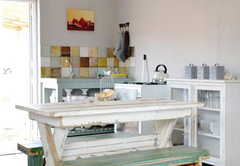 There are two simple, yet elegant self catering cottages. 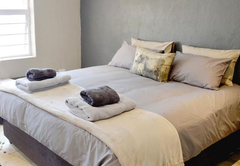 The cottages include fully equipped kitchens and braai areas and feature everything guests need to enjoy their stay. This is a romantic one bedroom open plan cottage. The room can be prepared with a Queen-size bed or two single beds. 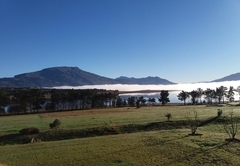 The cottage offers a lovely view of Theewaterskloof Dam and sleeps two adults. 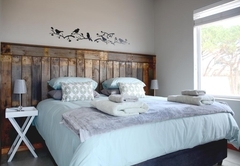 This is a gorgeous two bedroom cottage with en-suite bathrooms. The rooms can be prepared with Queen-size beds or single beds. 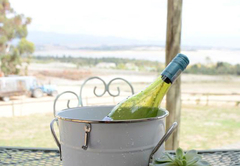 The cottage offers a view overlooking the breathtaking Theewaterskloof Dam and sleeps four adults. 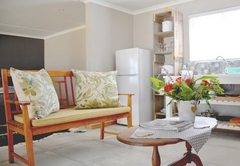 A romantic one bedroom self-catering, open plan cottage with a lovely view of the Theewaterskloof Dam. The room has a standard queen sized bed, or 2 single beds depending on your personal preference. 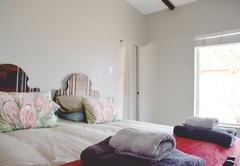 A gorgeous two bedroom, self-catering, cottage with en-suite bathrooms, overlooking the breathtaking Theewaterskloof Dam The rooms have standard queen sized beds, or 4 single beds depending on your personal preference. Response timeDennehof Farm Guesthouse typically responds to requests in 5-10 minutes.